We believe that our internship program has made a difference for over 42 interns. Through their final creative projects, they learn to research, improve their writing, learn the fine art of collaborating and new skills. They exit from the internship program with new successes and friendships, that will lay the path of a positive future. Our community workshops and Guest Artist workshops bring together people, of all ages and abilities, to learn new skills in a fun creative community event. We need your support to provide this vital work in the community. Please donate what you can, so we can unite all people in the community. We are always looking for people with special talents to help us with our workshops. Tell us more about yourself and how you think you can help us. Need more information, call us at 781-975-3024 or email us. GoodSearch.com is a Yahoo-powered search engine that donates half its advertising revenue, about a penny per search, to the charities its users designate like Brio Integrated Theatre. Use it just as you would any search engine, get quality search results from Yahoo, and watch the donations add up! And if you download the GoodSearch – Brio Integrated Theatre (Winchester MA) toolbar, our cause will earn money every time you shop and search online. Add the Brio Integrated Theatre (Winchester MA) toolbar . GoodShop.com is a new online shopping mall which donates up to 30 percent of each purchase to Brio! Hundreds of great stores including Amazon, Target, Gap, Best Buy, eBay, Macy’s and Barnes & Noble have teamed up with GoodShop and every time you place an order, you’ll be supporting Brio Integrated Theatre. 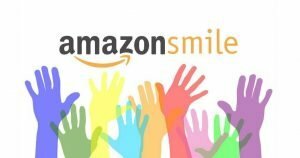 Amazon will donates 0.5% of the price of your eligible AmazonSmile purchases to the Network. Please sign up and name Brio Integrated Theatre as your non-profit organization of choice.